There is a strong connection between our websites and social media. We create fan pages, expand the network, promote posts across leading social sites and blogging communities. This process helps us to build a regular trusted audience base and get the traffic. As we know, Facebook is the main source of our social media traffic. It presents different options to market the contents through business pages and groups. With advertisement campaigns and third-party tools, you can unlock more benefits from the social networking site. In this post, we pick 10 best Facebook plugins to connect your WordPress website and social media effectively. They are useful to increase your page likes, boost user engagement, exposure, and many others. It is a highly customizable plugin to display a custom Facebook feed, like box and auto popup in WordPress. Easy Facebook Like Box comes in an optional responsive layout and allows you to customize various parts of it in simple steps. It supports 75 different locales to show the widget in your own language. The popup box is ideal to promote your fan page, stories with options to show/hide them for specific users, devices, and certain pages. In three ways, you can make use of the plugin- widget, shortcode, and HTML for popups. Custom Facebook Feed is one of the best Facebook plugins that helps you to add a beautiful Facebook feed in WordPress. It delivers SEO friendly contents in a responsive, mobile-optimized layout. The plugin offers tons of customization options to configure each and every part of the feed. It very easy to use and can be used to display feeds from multiple Facebook pages/groups. It supports localization and many other advanced features to increase your social engagement and fans. It is another Facebook plugin for WordPress websites. It contains Facebook like button, live stream and like box to showcase your fans and social media activities. Impress your readers and ensure regular social media traffic to your blog thereafter. You can use the plugin in two ways- widget and shortcode. It is one of the popular Facebook plugins to integrate your website with Facebook comments system. Several news portals, blogs, and magazines started utilizing the power of social media to get more readers and comments. Facebook Comments WordPress lets readers sign in with their Facebook account & leave comments on your posts and pages. It’s customizable and you are able to change the box title, background color, font family, page type, effects if needed. The plugin adds Facebook Open Graph, Google+ and Twitter Card Tags into your WordPress website for efficient social sharing results. It also allows the user to set a default image if the post/page doesn’t have one and automatically resize images to the recommended size based on each network. Super Socializer is an all-rounder plugin for social share, social login, and social comments. It contains social sharing buttons from over 100 networks which can be displayed in standard, floating interfaces, widgets and by shortcode. The icons are mobile optimized and highly customizable in terms of size, shape, colors, position etc. It supports social login from 9 networks including Facebook, Google+, LinkedIn, Twitter, Instagram which can be used to register, login to WordPress or leave comments. Super Socializer lets you show three types of comments at the same time- Facebook comments, Google+ comments, and Disqus comments. Facebook Auto Publish is one of the best Facebook plugins to publish posts automatically from WordPress to the social site. The post can be sent as a simple text message, a text message with an image or a link post. It also allows you to filter items to be published based on the categories or custom page types. It is another Facebook plugin to track Facebook conversations and build effective audiences. You are able to set up standard, custom and dynamic events to take your ads to the next level. It will personalize your ads, monitor digital downloads, tracks user info to run better ad campaigns. Facebook Pixel is a really useful tool to improve and automatically optimize your Facebook ad campaigns. You can customize event parameters, create custom audiences based on the posts and categories they viewed and more with the plugin. WP- Chatbot is one of the revolutionary Facebook plugins to improve your customer support. It lets you add a chatbot or live chat to your website using Facebook messenger. Visitors will get a greeting message when they open the corresponding web page and they can interact with you to leave a feedback or queries. 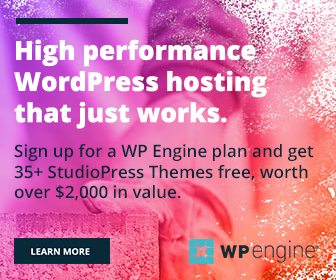 The plugin is highly customizable and you can change the theme color, language, greeting message, and hide the Messenger from specific parts of your website. Feed Them Social is a great plugin to display photos and videos from social sites in WordPress. It supports Facebook, Twitter, Instagram, Pinterest, Vine and YouTube along with the options to like, share and follow any feed. You can show an unlimited number of feeds on posts, pages, and sidebar via shortcode. It is customizable & allows you to showcase photos, videos from the Facebook page, group, album, and event. The contents are mobile friendly and highly responsive across the device types. Are you using any Facebook plugins in your WordPress blog? Feel free to share your feedback through comments.